Reverend White, with his wife Evelyn, was pastor at Aldersgate from 1970 to 1972. Reverend and Mrs. White had two daughters, Claris and Jane. Claris, being several years older than Jane, was married and living in Alabama and visited on occasion. Reverend White, his wife, and Jane lived in the parsonage in what we call “old Molino”. Many of us remember Jane, who was a high school senior when Reverend White became pastor. Jane was gracious enough to share some fond memories of her time in Molino with me. Her fondest memories of living and attending Aldersgate were of the friends she met here, many of whom became life-long friends. She remembers graduating from high school with Walter Lackey, Don Hassebrock, and Steve Spinks. She sang in the choir with Jeanie Richards Nowling and Jackie Williamson Milstid. She remains good friends with Teresa Williamson and Sandy Abbott Enfinger, and remembers singing in Sandy and Larry’s wedding. Jane recalls that Molino Church burned down while she was still in high school. She also recalls that her father enjoyed visiting the Aldersgate families and did so often. Jane accompanied him many times and shared stories of learning to cook some of the “ol’ favorites.” She wishes she still had the recipes! Jane also recalls returning to Aldersgate with her father when he preached at one year’s homecoming. The sanctuary had already been built, and Jane remembers that it felt so different not to be in the fellowship hall. Reverend White retired after pastoring for close to 50 years. 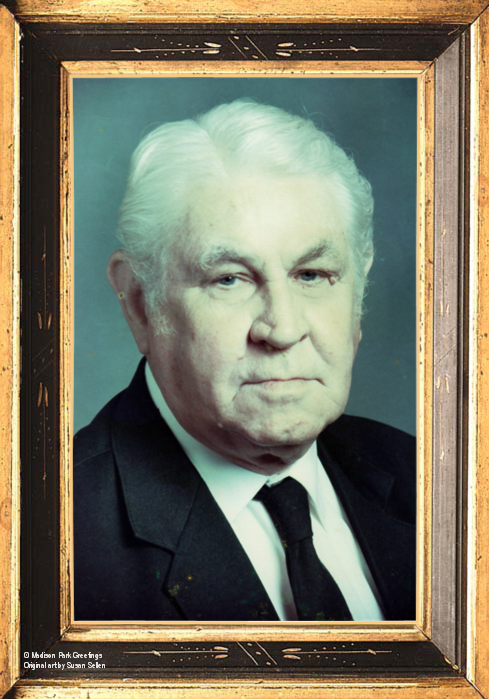 He originally retired in 1976, but immediately missed his ministry and the families he served. He came out of retirement after less than a year and did not retire again until he was in his 80’s. Reverend White died in 2006 at the age of 93. Reverend and Mrs. White have five grandchildren and four great grandchildren.